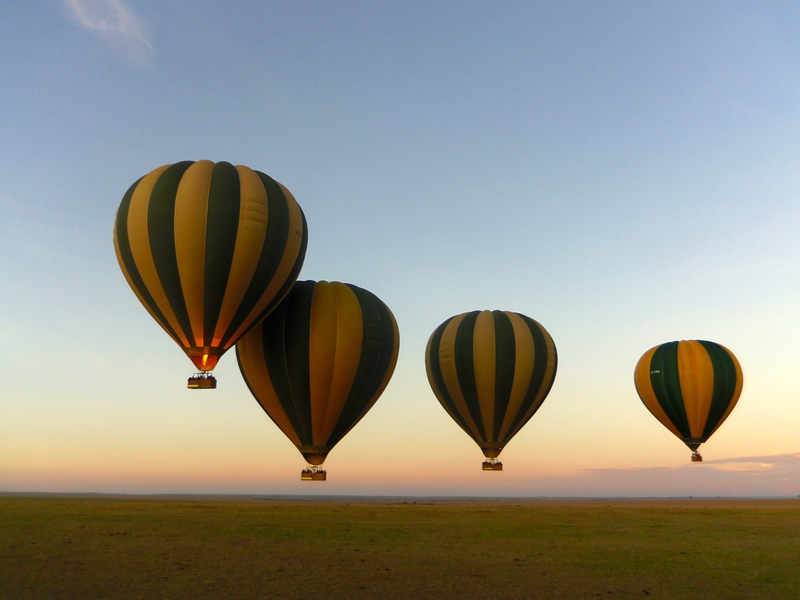 The best way to experience Kenya’s landscape is on a hot air balloon safari. 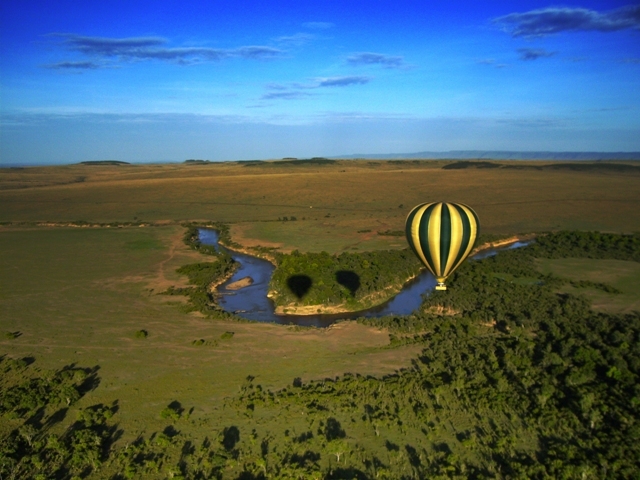 There is nothing like floating in the air and watching the diverse landscape this country has to offer. When i was told that next morning we will be going for hot air balloon safari, i couldn’t wait for the dark night to pass. We had to meet our group head at 4AM in the hotel lobby. 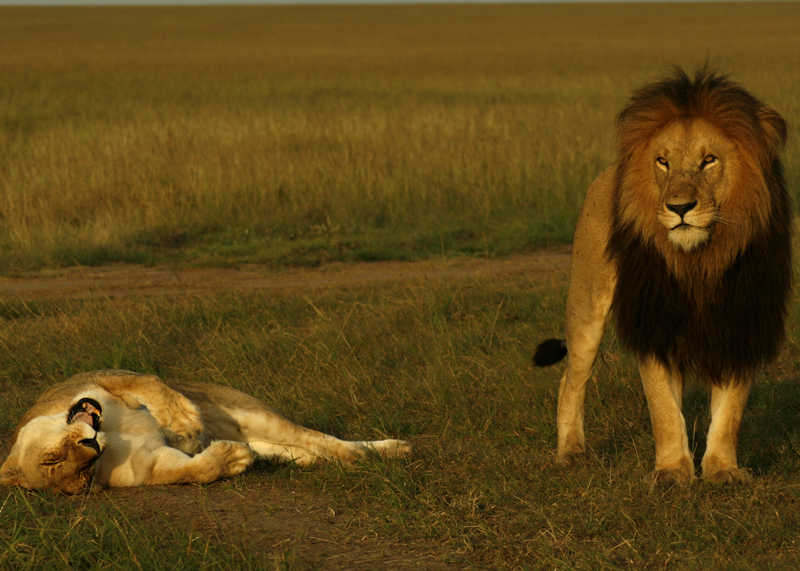 We were advised to carry light sweaters and wear sports shoes for the safari. The mornings are slightly cold and the grass is shinning with morning dew. Even after only sleeping for 3 hours i could see excited faces around me. On our way to the launch site we could see maasai men returning with their cattle’s. Our driver told us that to preserve their own ways in an increasingly modern world they take their cattle for grazing during the night time. 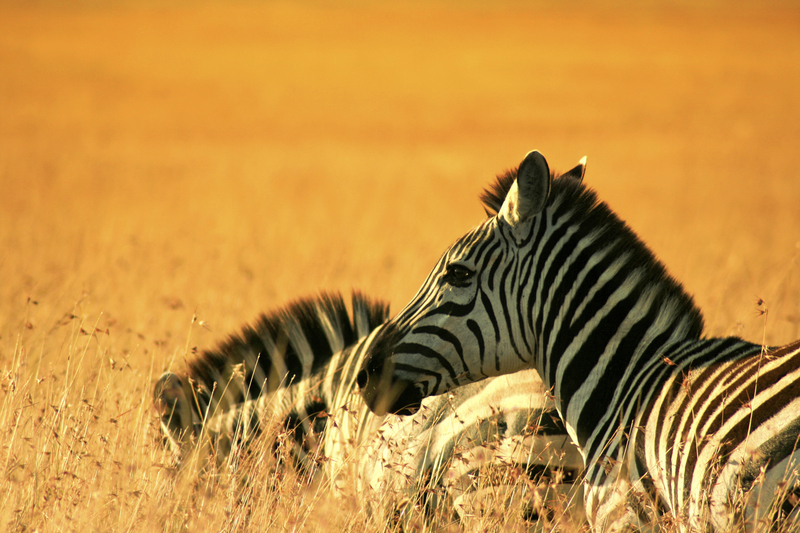 So that tourists see the wild animals and not the cattle’s during the day. We reached our launch site at 6AM. We enjoyed a hot cup of tea while watching the balloons being prepared for take-off. We met our pilot, who gave us a safety briefing as well as explained what all we can expect during our flight. As we started our flight, i could feel a part of me flying, rising high from the ground, the sudden adrenaline rush, the sense of excitement that cannot be explained. The crisp chilly air nipped my skin and i was ready to experience the world which i had never known. 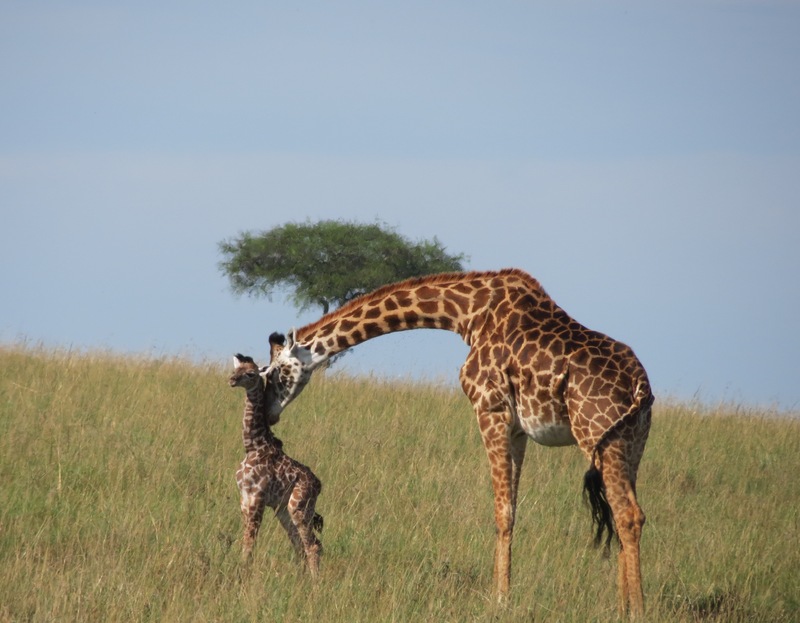 There can be no joy bigger than watching so many animals under one roof, hippos running to get in the water pool, giraffes cuddling their little ones, pack of lions resting, birds singing happy songs about the new day, gazelles and zebras scuttling freely. There is nothing quite like this experience. One of the best things about ballooning is that it’s totally silent apart from the occasional noise from the balloon’s burners. I took advantage and i took two minutes for myself. The ”introspection” time. I closed my eyes, took a deep breath and dumped all my worries and tensions. 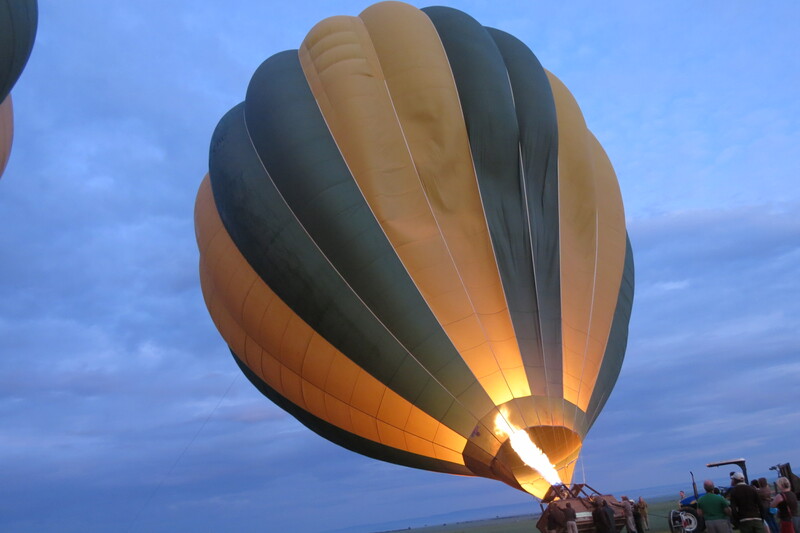 Floating in the sky over the Mara, in the magnificent setting of the Great Rift Valley is like a dream come true. The one hour long flight gives an eagles view over the abundant wildlife this country has to offer. 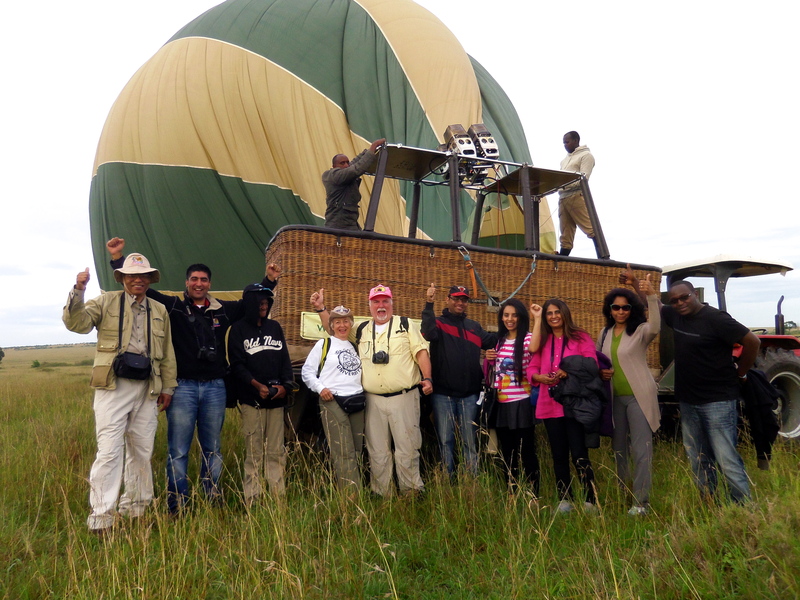 The pilot smoothly landed and we clicked our survivor’s picture with the group. After we landed, a champagne breakfast in the bush under the shade of a single acacia tree was ready. 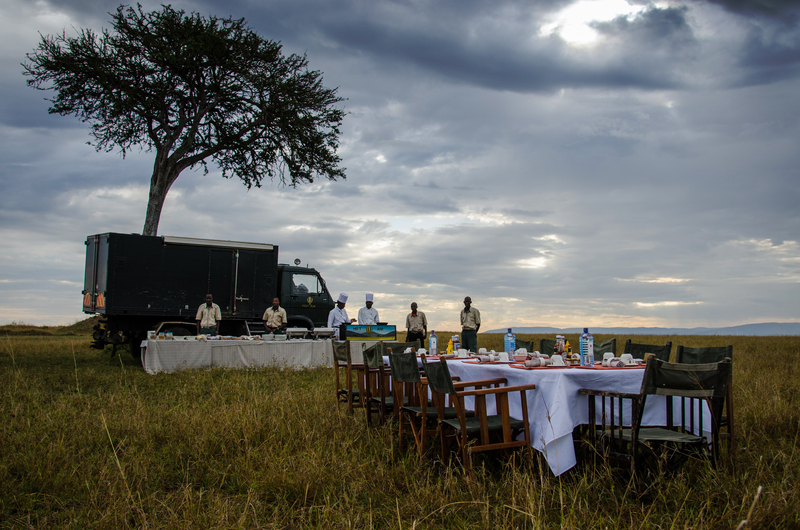 We raised a toast for our successful flight and enjoyed our breakfast in the picturesque savannah plains. The perfect bush breakfast just adds to the buzz you get after drifting in the air and witnessing the nature that only an eagle can ever see. It is an evocative, thrilling and once in a lifetime experience. The cost for hot air balloon with champagne breakfast is $450. P.S. 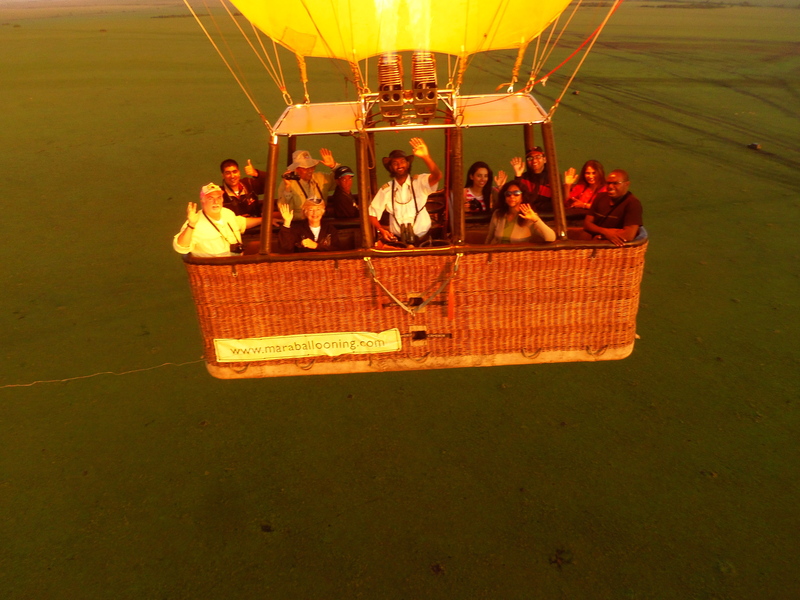 Do tell me in comments below if you have ever taken hot air balloon safari. I would love to hear from you. Hi, this was a nice article. Short and sweet, clear and consice and I loved the photos. Thank you for sharing! Thank you for your appreciation..! !